For more details visit www.sqlrelay.co.uk. This entry was posted in Meeting and tagged Community, Free, Learning, SQLRelay, UK on September 23, 2013 by sqlsouthwest. Following the success of SQL Saturday 194 in 2013, we are back with SQL Saturday #269 on 22nd March 2014. 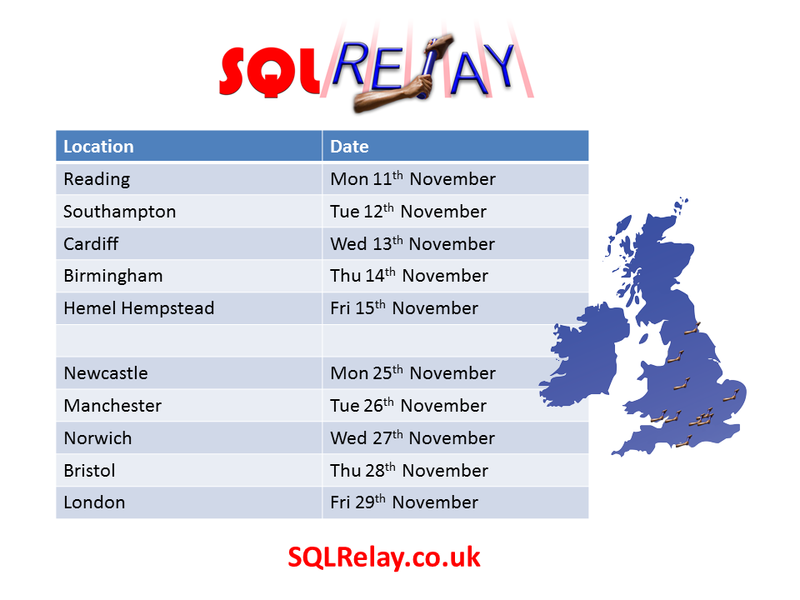 For all the latest information on SQL Saturday 269 please follow this link. This entry was posted in SQL Saturday on September 18, 2013 by d_a_green.